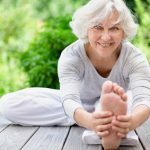 Find health and wellness classes and workshops in Santa Rosa, Sebastopol, Petaluma, and other locations in Sonoma County. Learn about nutrition, healthy habits, exercise, yoga, managing stress, getting good sleep, loosing weight, managing illness and more. Ready to have a life of vibrant health? 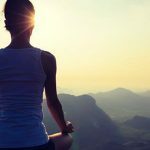 S1, the first course in the Self Mastery series, immerses you in the fundamentals of Medical Qigong for personal cultivation. 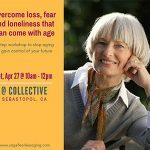 3 step workshop to learn about FEARLESS AGING, an approach to growing older that puts you in control of your aging options so you can thrive and live a long, vibrant life. Yoga practice focused on building bone strength & improving balancing skills and healthy alignment. Traditional cultures maintain healthy pain-free posture throughout their lives. 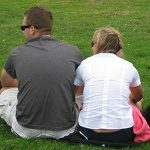 Come learn simple guidelines for sitting and get relief from back pain while improving your posture. RSVP required. 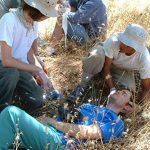 Two 8-hour days.Gain some good tools and knowledge to handle a wilderness first aid emergency.